Gunmen reportedly arrived at the school in Chibok, Borno state, late last night, and ordered the hostel’s teenage residents on to lorries. “Three men came into our room and told us not to panic. We later found out later that they were among the attackers,” she said. “We ran into the bush and waited until daybreak before we went back home,” she said. 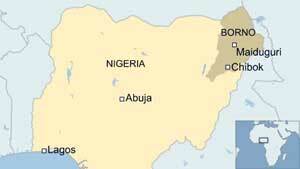 The government recently said that Boko Haram’s activities were confined to that part of the country. 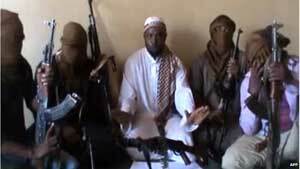 However, Monday’s bombings in Abuja prompted renewed fears that the militants were extending their campaign to the capital.